PLEASE NOTE FOR THE RECORD : THE CRIME THROUGH TIME COLLECTION HERE AT LITTLEDEAN JAIL OR IT’S OWNER ARE NOT AFFILIATED IN ANY SHAPE OR FORM TO ANY POLITCALLY MOTIVATED, EXTREMIST, THE ESTABLISHMENT, OR OTHERWISE MOVEMENTS, CLUBS, ETC, ETC…. WE ARE SIMPLY A DARK TOURISM ATTRACTION THAT TOUCHES UPON TABOO, THOUGH HOPEFULLY HISTORICALLY EDUCATIONAL SUBJECT MATTERS … THAT OTHER MUSEUMS OR VISITOR ATTRACTIONS DARE NOT COVER ……. 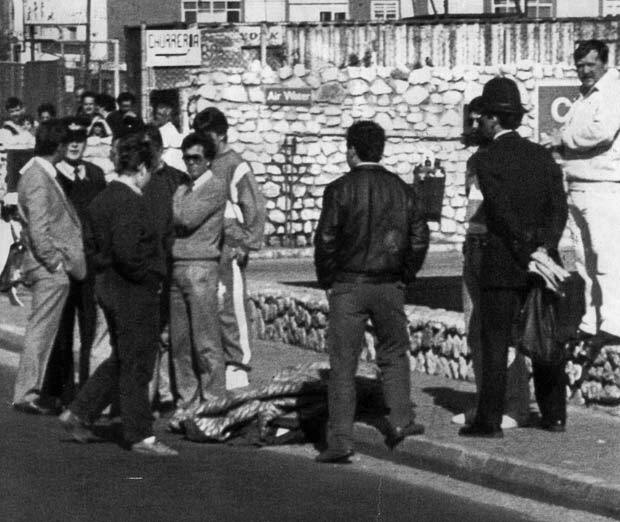 Operation Flavius was the name given to an operation by a Special Air Service (SAS) team in Gibraltar on 6 March 1988 tasked to prevent a Provisional Irish Republican Army (IRA) bomb attack. 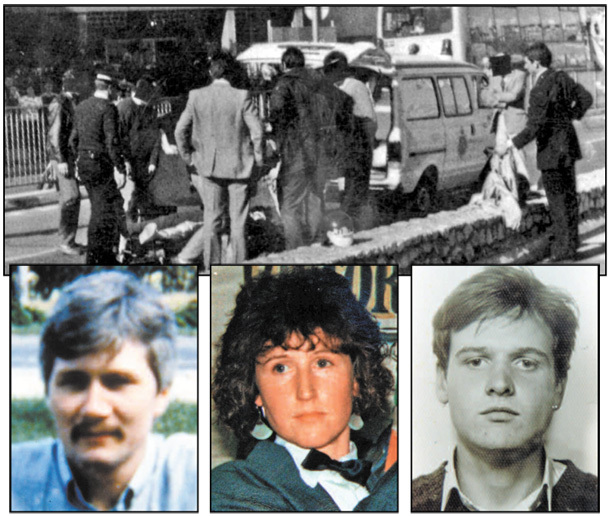 The IRA Active Service Unit‘s (ASU) members, Danny McCann, Seán Savage and Mairéad Farrell, conspired to detonate a car bomb where a military band assembled for the weekly changing of the guard at the governor’s residence. Although the operation was meant to be an arrest operation,[ it ended with all three members of the ASU dead. ABOVE AND BELOW : SO-SAY, MEDIA CLAIMED SAS HITMEN WALKING AWAY FROM THE EXECUTION SCENE ???? HERE IS SOME BRIEF INTERACTIVE DOCUMENTARY AND INFORMATIVE INSIGHT INTO THE STILL CONTROVERSIAL “BLOODY SUNDAY” INCIDENT IN NORTHERN IRELAND ,BACK ON THE 30TH JANUARY 1972 . A SUBJECT MATTER FEATURED HERE AT LITTLEDEAN JAIL WITHIN OUR “TERRORISM AND COUNTER TERRORISM EXHIBITION “. 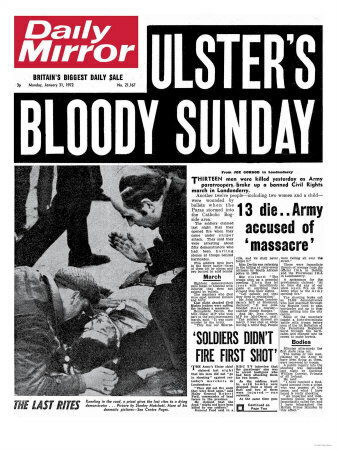 Bloody Sunday (Irish: Domhnach na Fola)—sometimes called the Bogside Massacre[—was an incident on 30 January 1972 in the Bogsidearea of Derry, Northern Ireland, in which 26 unarmed civil-rights protesters and bystanders were shot by soldiers of the British Army. Thirteen males, seven of whom were teenagers, died immediately or soon after, while the death of another man four-and-a-half months later was attributed to the injuries he received on that day. Two protesters were also injured when they were run down by army vehicles. Five of those wounded were shot in the back. [The incident occurred during a Northern Ireland Civil Rights Association march; the soldiers involved were members of the First Battalionof the Parachute Regiment (1 Para). On the morning of Sunday 30 January 1972, around ten thousand people gathered in Londonderry for a civil rights march. The British Army had sealed off the original route so the march organisers led most of the demonstrators towards ‘Free Derry Corner’ in the nationalist Bogside area of the city. Despite this, a number of people continued on towards an army barricade where local youths threw stones at soldiers, who responded with a water cannon, CS gas and rubber bullets. As the riot began to disperse, soldiers of the 1st Parachute Regiment were ordered to move in and arrest as many of the rioters as possible. In the minutes that followed, some of these paratroopers opened fire on the crowd, killing thirteen men and injuring 13 others, one of whom died some months later. British troops had been sent into Derry as a peacekeeping force in August 1969 and had initially been welcomed by the predominantly Catholic nationalist community as a preferable alternative to what they saw as the discrimination of the local Northern Ireland security forces. The residents of the Bogside area of the city had declared it ‘Free Derry’ and refused to recognise the authority of the Northern Ireland government, led by a unionist majority that drew most of its support from the Protestant community. Opposition to policies such as detention of terrorist suspects without trial (internment) and the alleged rigging of electoral wards to favour Protestant voters (gerrymandering) had inspired a nascent civil rights movement across Northern Ireland. With support for the demands of the civil rights movement so strong among local people, Derry was an obvious choice for a mass demonstration. About ten thousand people gathered in the Creggan area of Derry on the morning of Sunday 30 January 1972. After prolonged skirmishes between groups of local youths and the army at barricades set up to prevent the march reaching its intended destination (Guildhall Square in the heart of the city), paratroopers moved in to make arrests. During this operation, they opened fire on the crowd, killing thirteen and wounding 13 others. The dead were all male, aged between seventeen and forty-one. Another man, aged fifty-nine, died some months later from injuries sustained on that day. The wounded included a fifteen-year-old boy and a woman. While the British Army maintained that its troops had responded after coming under fire, the people of the Bogside saw it as murder. The British government was sufficiently concerned for the Home Secretary to announce the following day an official inquiry into the circumstances of the shootings. Opinion was further polarised by the findings of this tribunal, led by the British Lord Chief Justice, Lord Widgery. His report exonerated the army and cast suspicion on many of the victims, suggesting they had been handling bombs and guns. 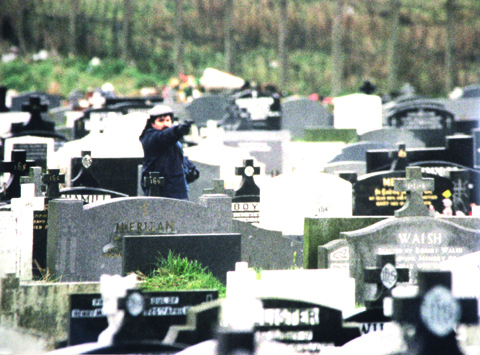 Relatives of the dead and the wider nationalist community campaigned for a fresh public inquiry, which was finally granted by then Prime Minister Tony Blair in 1998. Headed by Lord Saville, the Bloody Sunday Inquiry took 12 years and finally reported in 2010. It established the innocence of the victims and laid responsibility for what happened on the army. Prime Minister David Cameron called the killings “unjustified and unjustifiable”. 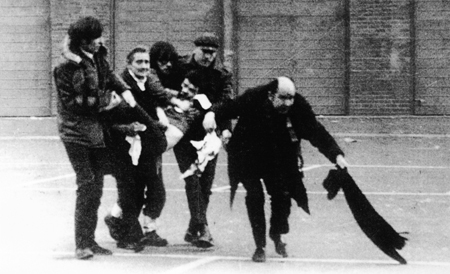 The families of the victims of Bloody Sunday felt that the inquiry’s findings vindicated those who were killed, raising the question of prosecutions and compensation. Here is some more interactive and historic documentary footage as well as some brief informative insight into one of the UK’s most feared terrorism movements . Featured here too at the Crime Through Time Collection , Littledean Jail . The Ulster Defence Association (UDA) is the largest] loyalist paramilitary and vigilante] group in Northern Ireland. 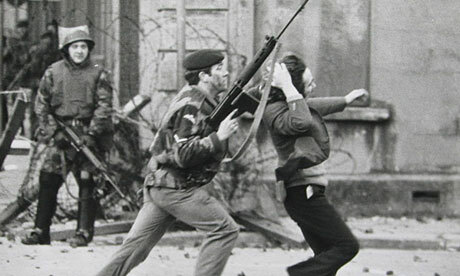 It was formed in September 1971 and undertook a campaign of almost twenty-four years during “The Troubles“. It used the name Ulster Freedom Fighters (UFF) when it wished to claim responsibility for attacks—because the two claimed to be separate organisations, the UDA was able to remain legal for over twenty years. 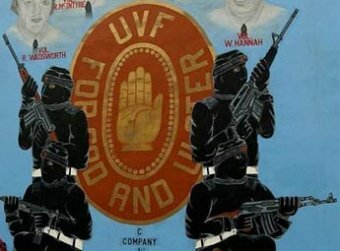 The United Kingdom outlawed the “UFF” in November 1973 and the UDA itself was classified as a terrorist group on 10 August 1992. 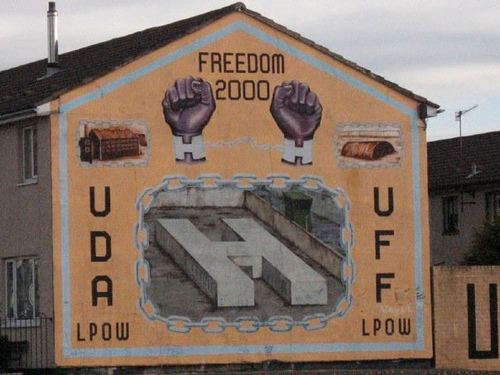 The UDA’s/UFF’s declared goal was to defend loyalist areas from attack and to combat Irish republicanism. However, most of its victims were unarmed civilians according to the Sutton Index of Deaths. The majority of them were Irish Catholics, killed in what the group called retaliation for attacks on Protestants. 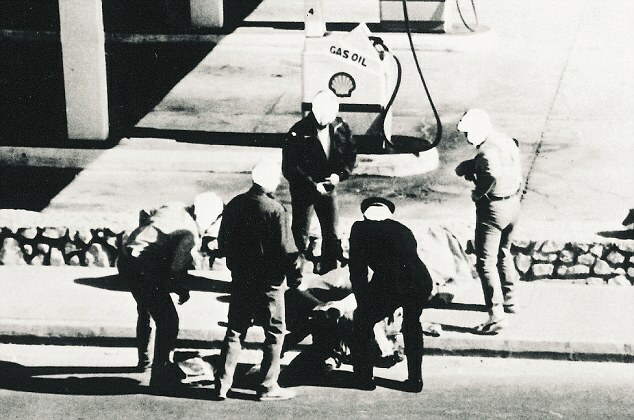 High-profile attacks carried out by the group include the Milltown massacre, theSean Graham bookmakers’ shooting, the Castlerock killings and the Greysteel massacre. The UDA/UFF declared a ceasefire in 1994, although sporadic attacks continued until it officially ended its armed campaign in November 2007. The UDA were often referred to by their Ulster Volunteer Force (UVF) rivals as the “Wombles”, derived from the furry fictional creatures,The Wombles, or “Japs” owing to their mass rallies and marches in combat clothing. The UDA’s motto is Quis Separabit, Latin for “Who will separate [us]?”. 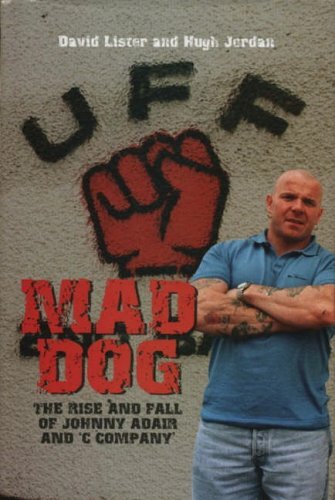 Jonathan Adair, better known as Johnny “Mad Dog” Adair (born 27 October 1963) is an Ulster loyalist and the former leader of the “C Company”, 2nd Battalion Shankill Road, West Belfast Brigade of the “Ulster Freedom Fighters” (UFF). This was a cover name used by the Ulster Defence Association (UDA), a loyalist paramilitary organisation. 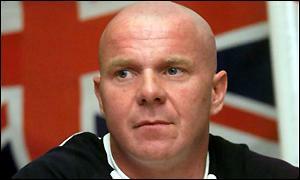 Adair was expelled from the organisation in 2002 following a violent internal power struggle. Since 2003, he, his family and a number of supporters have been forced to leave Northern Ireland by the mainstream UDA. The Irish Republican Army (IRA) (Irish: Óglaigh na hÉireann[) was an Irish republican revolutionary military organisation. It was descended from the Irish Volunteers, an organisation established on 25 November 1913 that staged the Easter Rising in April 1916. In 1919, the Irish Republic that had been proclaimed during the Easter Rising was formally established by an elected assembly (Dáil Éireann), and the Irish Volunteers were recognised by Dáil Éireann as its legitimate army. Thereafter, the IRA waged a guerrilla campaign against British rule in Ireland in the 1919–21 Irish War of Independence. Following the signing in 1921 of the Anglo-Irish Treaty, which ended the War of Independence, a split occurred within the IRA. Members who supported the treaty formed the nucleus of the Irish National Army founded by IRA leader Michael Collins. 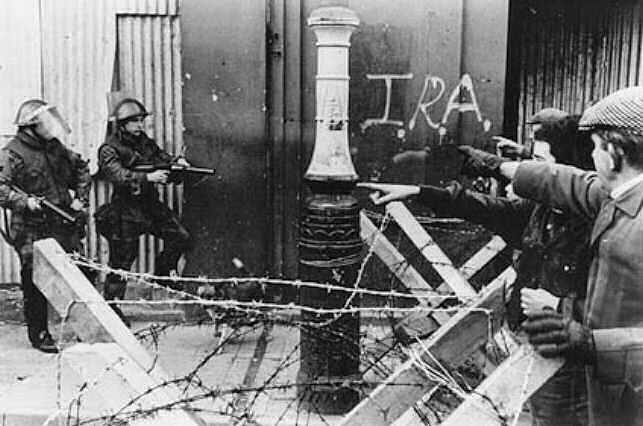 However, much of the IRA was opposed to the treaty. The anti-treaty IRA fought a civil war with their former comrades in 1922–23, with the intention of creating a fully independent all-Ireland republic. Having lost the civil war, this group remained in existence, with the intention of overthrowing both the Irish Free State and Northern Ireland and achieving the Irish Republic proclaimed in 1916. The Real Irish Republican Army, otherwise known as the Real IRA (RIRA), is an Irish republican paramilitary organisation which aims to bring about a united Ireland. 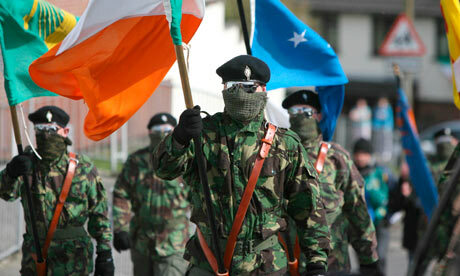 It formed in 1997 following a split in the Provisional IRA, which had declared a ceasefire that year. 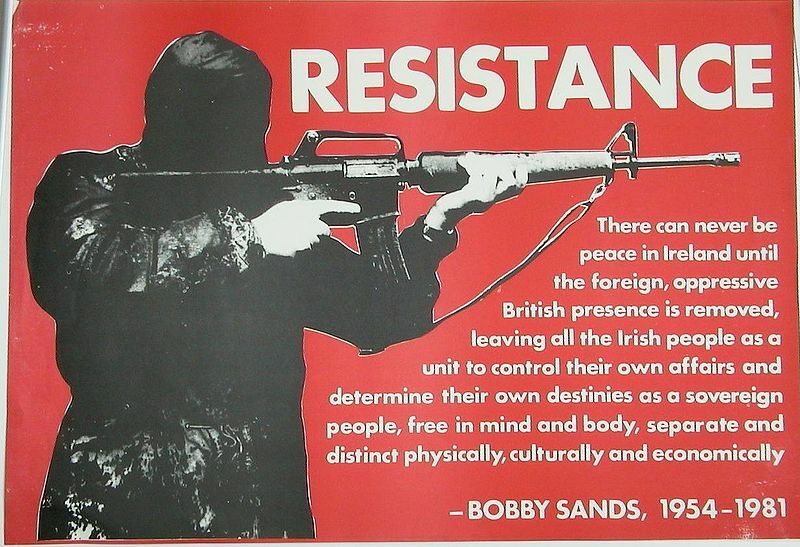 The RIRA sees itself as the only rightful successor to the original Irish Republican Army and styles itself as simply “the Irish Republican Army” in English or Óglaigh na hÉireann(Volunteers of Ireland) in Irish. It is an illegal organisation in Ireland and designated as a terrorist organisation in the United Kingdom and the United States. Since its formation, the RIRA has waged a campaign in Northern Ireland against the British Army and the Police Service of Northern Ireland (PSNI), formerly the Royal Ulster Constabulary (RUC). 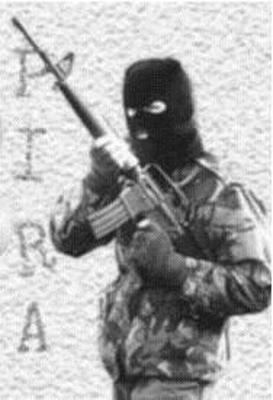 The RIRA is the biggest and most active of the “dissident republican” paramilitaries operating againstthe British security forces. It has targeted the security forces in gun attacks and bombings, as well as with grenades, mortars and rockets. The organisation has also been responsible for a number of bombings in Northern Ireland and England with the goal of causing economic harm and/or disruption. The most notable of these was the 15 August 1998 Omagh bombing, which killed 29 people. After the bombing, the RIRA went on ceasefire, but began operations again in 2000. On 7 March 2009 RIRA members claimed responsibility for an attack on Massereene Barracks that killed two British soldiers, the first to be killed in Northern Ireland since 1997.